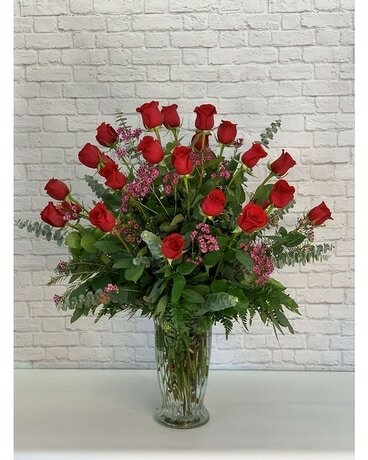 Two dozen long stem red roses are a classic way to say "I Love You!" This local-only special is available for a limited time. Twenty-four roses and filler, delivered in a striking clear glass vase. LOCAL ONLY PRICE.